By letting you operate their cellphone’s microphone, TheOneSpy gives you the power to listen to their surroundings and hear what they – and people around them – are saying. You can’t be with them where they are, but you can do the next best thing with TheOneSpy. 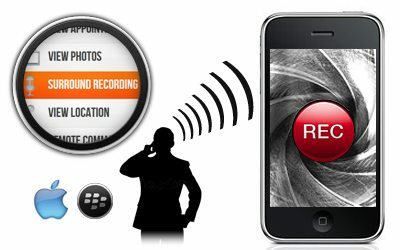 Your children might be away from home and you, but you can be with them using TheOneSpy’s microphone operating feature. Switch it on as easily as you operate your own phone’s microphone and listen to everything that is going on around your loved one. Hear something going wrong? You can act as soon as possible. Whatever your partner is doing on their nights out, you can now find out by listening to their surroundings with TheOneSpy. It’s like calling them on their phone – except that they won’t have a clue. With TheOneSpy’s microphone operating feature, you can follow your employees wherever they would carry their smartphone – and spot something fishy in an instant.